The Chaparral Gardens duo Craig and Cari have truly perfected their craft. I (Jordan) am now an obsessed customer of their amazing vinegars, and have been since I first tried them several years ago. They win Sofi awards for goodness sakes! Had to put that out there, and now on to the project details. 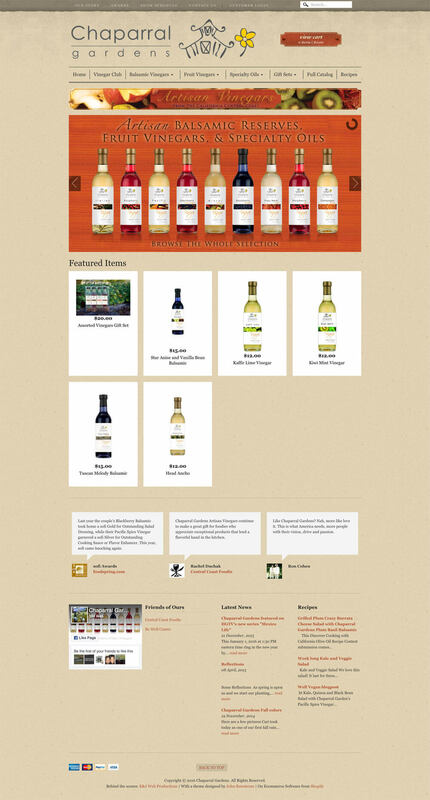 When we first started working with Cari and Craig they had an existing website, but it wasn’t ideal for ecommerce. Moving their site to Shopify gave them and their customers a much improved ecommerce experience. 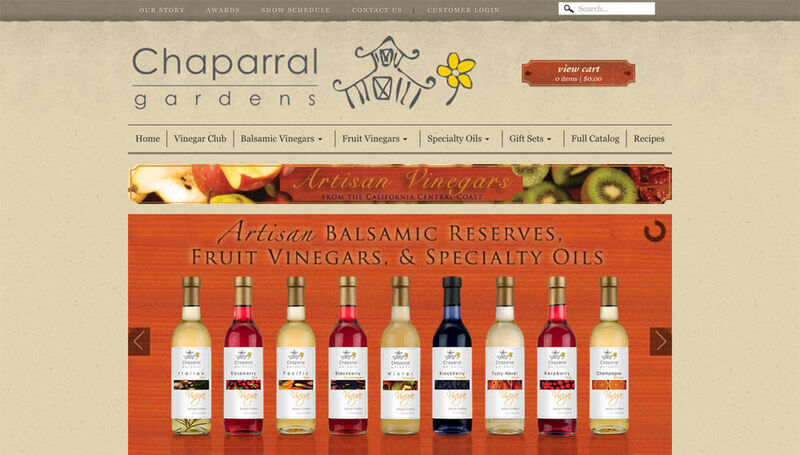 We had fun with the design by pulling from colors of the fruits that Chaparral Gardens uses to make their vinegars while wrapping the whole site up in a rustic vibe. We’re happy to have worked with such terrific people to help ramp up their online presenece, and seeing their success since is just the cherry on top!